It is possible with the right training to make $500 - $1000 from a $100 account but it will take rock solid discipline, laser like consistency, and patient like Spoke from Star Trek or Yoda from Star Wars. You would also be getting into a market that is basically “one” with your system. The reason that you most likely were able to do it in a demo account is the emotion that is felt with the actually loss of what you risked. Risking demo money is a lot different then risking regular money. Theoretically you can. But it’s absurdly unrealistic to think you can do it everyday. If you can multiply your capital by 10x per day, you’ll be the greatest trader in history. To put it in perspective, making $1 from $100 per day is damn good, let alone $1000. I don’t think 4 months learning can be sufficient. And in practice session I personally think working with such excessive leverage can make you more dreamy than realistic. Try to set realistic goals and go for it which you will actually implement in your real money trading. Well basically i use 100$ because i am gonna use 100$ when i deposit live but what am trying to state here is that the sum of talking people do where they say trading is hard and trading is not hard all i see there is if i keep reading posts on forums am eventually gonna quit trading because well for example making $1 from 100 a day isn’t damn good people believe that forex could be a stable no loss risk 1% of your capital kind of job but instead i don’t believe that’s it. So what am just asking here for an answer to is this = is it the same what am doing in demo can be done in live or am i just living in some broker made hoax because i tested this in more than one broker risking 50 to 80% of my capital to make 300 500%+ and i did and i don’t mean to use that in my daily use but am just asking because i haven’t seen anyone doing this all i see is people using 1% and keep losing 1% till they quit after 3 years of forex because they didn’t make money and they lost maybe near all their capital. 2 lots on a $100 account? I don’t see how you’ll be able to do that, probably get a margin call just from the spread, slippage and commission. What leverage have you got? I wouldn’t say it’s not possible, it’s just not probable. A small move in the wrong direction and you get a margin call. like i said 2 lots is just a crazy call i make for fun no more probably will not do it live. Even 0.5 lots on $100 is too much and just a gamble. 0.1 lots is a lot for an account that size. 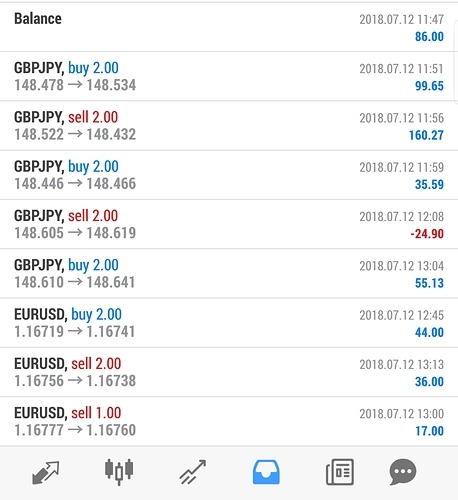 I blew a £1000 account in 3 days with lot sizes of 1 and doing what you’re doing. I didn’t set out to do that, but I was bored and thought it would be fun. Turns out losing money quickly isn’t that much fun. Like I said, it’s not impossible that you will make money, but very unlikely. You should probably consider this; if a broker gives you 1:3000 leverage, what is their incentive? Why give you the chance to make huge amounts of money from them with a tiny investment? Because almost everybody that uses that leverage gives all of their money to the broker quickly. 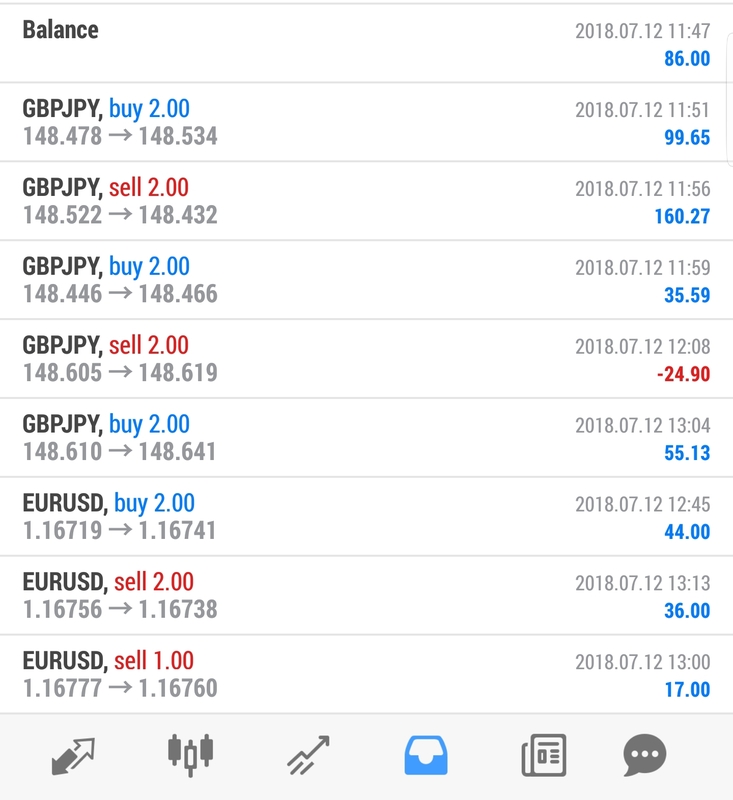 Well as i said i made calls on GBPJPY as it has lots of trends going on the 1m chart and am really just planning on using 0.5+ lots when it comes to live and to be honest tho sometimes i really just ignore reading the charts and do a 2 lot and lose 500$ in like 5-10 minutes so as i chose to trade like this i know how risky and dangerous it can be so basically you lost 1000$ in 3 days as you thought it would be fun but it really isn’t i sometimes stare at the charts opening and closing deals for like 4-6 hours straight before i have any rest of any kind and when i joke off for 5 mins i start losing hard cause well the 1min charts are just well lets put it as playful they like to move alot and fast but well i do get rewarded with a 500$ for the hard work but i remember its just a demo lol. They give you a 1:3000 leverage till $200 then 1:2000 and 1:1000 so on till $5000 then its 1:500 which is the normal. Now if it’s really demo equal to the live and there is no difference then am gonna be posting my portofolio here and building a capital from 100$ which everyone states is impossible and freak out when they read this post but i will try my best and even if i lose them under any circumstance either a huge drop or top in the price i will keep on trading this way and will not give up but also having a good money management is required. I just hope the broker doesn’t go flipping my trades because i scalp lol. When it comes to trading for real, it’s not really a matter of the demo being a hoax, it’s just that the money has no value. Once it comes to real trading, suddenly that money has value, losses aren’t taken so easily all of a sudden. No matter how good your analysis is, you’ll find your performance decreasing slightly. It’s a matter of traders’ psychology! Just for my own knowledge, are you day-trading/scalping or do you hold over-night? Do you get in to follow the trend or take the opposite direction on a reversal? I guess what am doing here is called scalping as i read the 1 min chart and not more than the 30 min chart. I basically keep trading following the trend in the 1 min chart i sell high close low buy low close high lots of trades happen in a low amount of time and sometimes i know that the chart is going downwards or upwards and open a trade of 2 lots with a 200$ account ride the wave and close at +50 pips and tbh sometimes i get greedy or what you can call overconfident and keep holding until i lose all my balance which is what am training on right now. Do you set a stop-loss or just watch for a manual exit if the trade goes against you? Maybe other new traders trade similarly? Well my eyes typically burn from continuous watching because i tend to manually stop as the S/L in this situation just makes you lose from my experience of what am doing. Won’t hurt to try if it’s possible and I’ve completely detached my emotions from money because ive been doing that not in trading but in my daily life. So i won’t keep making brokers rich i am just trying to think outside the closed traders box. Right. The involvement of real money in live/real trading is what makes the entire trading process more thrilling. Demo is good and essential too but how long can you trade with fake money on demo a/c? Someday you’ll have to step out in to the real world and it is only when your start trading with your real cash that you actually start learning the nitty gritties of trading. Dealing with emotions like greed, fear, anxiety, doubts, overconfidence is challenging. A successful trader will know how to handle all these emotions well and won’t let these interfere with his trading process.